This is the first thing you should focus on prior to selecting a furniture layout for a long narrow living room. Whites and pastels will make the room appear more spacious. Plus, here is one more trick to make your room appear more square: paint the side walls into different colour than the other two walls. And if one of the shorter walls has a window, choose contrasting colour for the curtains – long flowing curtains will make the room appear more square. The colour of furniture should be much darker than the colour or the walls, but of the same shade. 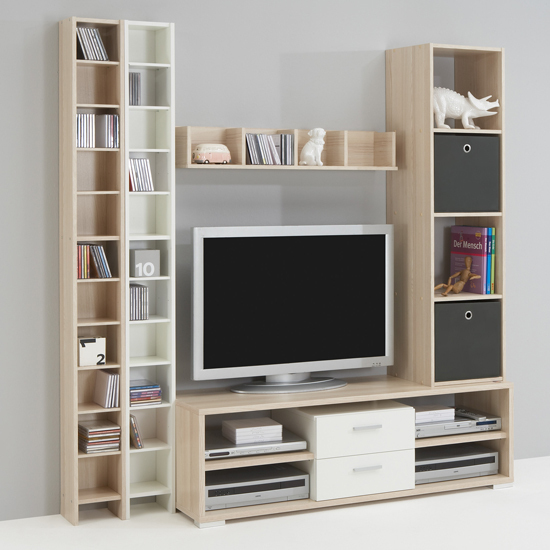 Another rule to stick to as you are working on a furniture layout for long narrow living room is to avoid using small furniture units – these will only make the room look cluttered. Two or three big furniture units for a narrow living room are okay, thought. Place bigger furniture units, for example, a sofa or a TV stand, along the longer walls, and smaller ones, like chairs and recliners – next to the shorter walls. But placing all furniture along the walls in room like this will only make it appear more narrow. Think of an unusual placement – for example, put a sofa in the center of the room and see how this arrangement works. Another important element, which will help you square off the room and make in seem wider, is a mirror. Hang it on one of the longer walls for best effect. Its only logical that a living room would feature two functional zones – a conversation area and, for example, a display area. Use creative room dividers to split up your space; after you do, decorating two square room segments won’t be a problem. You can also split up your room into different areas by using a floor rug – place it in the conversational area of your living room and it will instantly stand out from the rest of the environment and look more welcoming. 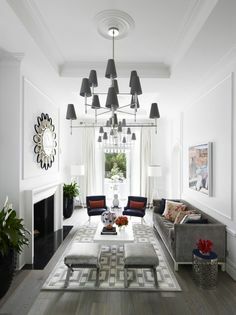 If you think one overhead pendant light will be enough for long narrow living room, think again. If you’ve split the room into functional zones, work on providing each of them with sufficient lighting. Use multiple lighting sources, for example, consider various lighting fixtures like floor lamps and wall lights. Just make sure not to place lighting sources geometrically, along the walls – this will only emphasize the narrow shape of your living room. Of course, deciding on the right furniture layout for long and narrow living room will depend on your individual needs and unique dimensions, but all in all, the tips above should put you on the right track. Don’t be afraid to experiment. Even if redecorating a narrow living room means you’ll have to order some extra room dividers or lighting fixtures from furniture stores , the result will be well worth it.